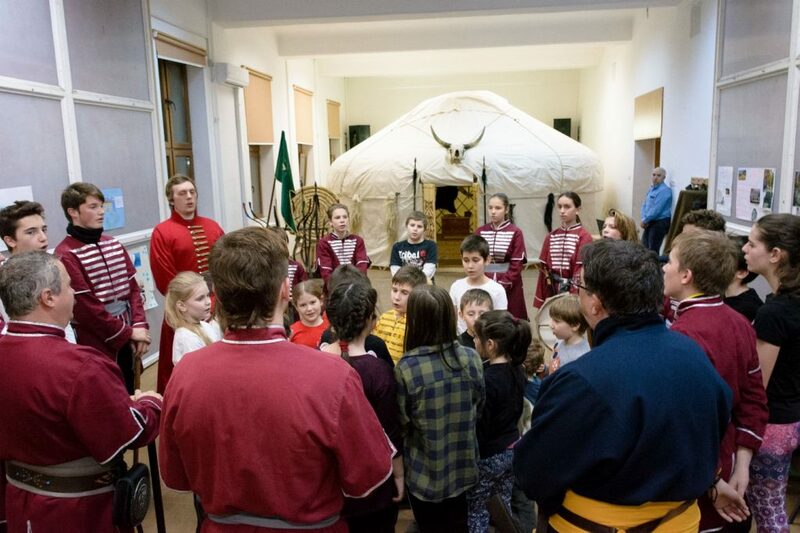 On the Saint Lucy’s Day, members of the Losonczy István Hagyományőrző és Sportegyesület Association from Timișoara celebrated the inauguration of a XIth century yurt replica, the latter being obtained with the support of Zrt. Alapkezelő Bethlen Gábor. Those who participated in the event could follow closely and even help assembling the yurt, learning about its traditions and about the way it was used by our ancestors. This yurt, with the circumference of 5 meters, was the original home of our ancestors back in the days when they first arrived in the Pannonian Plain. During this event, Erdei Lajos, the President of the Losonczy István Hagyományőrző és Sportegyesület Association, spoke about the new opportunities who lie ahead for the association along with the inauguration of the yurt. Also, the yurt gives the unique opportunity to plan all sort of historical events which will bring to the public eye the lifestyle and the art of making war of our ancestors. The President of the above mentioned association also emphasized the fact that the activities involving the yurt will take the form of a caravan that will travel and visit even the smallest hungarian speaking community in the Carpathian Basin, in order to offer a glimpse of the hungarians history in the IXth century.